What to do after being discharged from an extended hospital stay? That’s easy – a walk in the woods and a drink in the Hudson Valley, in that order. Where else but a nature preserve a mile from Germantown to start Mutti’s recovery. Founded in 1998, the KEEP Conservation Preserve is a local non-profit organization dedicated to the protection and survival of migratory and breeding birds. Dogs are happily allowed. It was actually Tay, the wife of the owner of Suarez Family brewery, who suggested the nearby location. 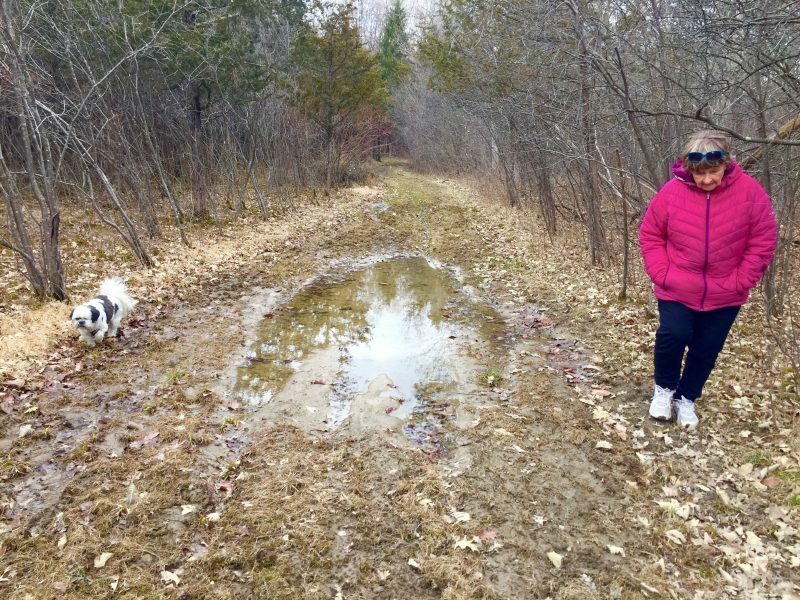 We leashed up Little Fred and Little Renee for a soggy stroll on one of several guided nature walks. We hopped muddy puddles and ducked under downed debris – volunteer stewardship had obviously not gotten around to spring cleaning yet. Still, this idyllic sanctuary, punctuated by fields, meadows and floodplain forests, was a restorative location for Mutti’s return to the outdoors. After changing into dry shoes and socks we made our way back to Suarez. Five minutes before the doors opened, the parking lot was filling up fast with cars from out-of-state. Thirsty beer loves had evidently heard about their specialty for crispy, light hoppy pilsners and lagers. We were relieved at the number of offerings with a low ABV. 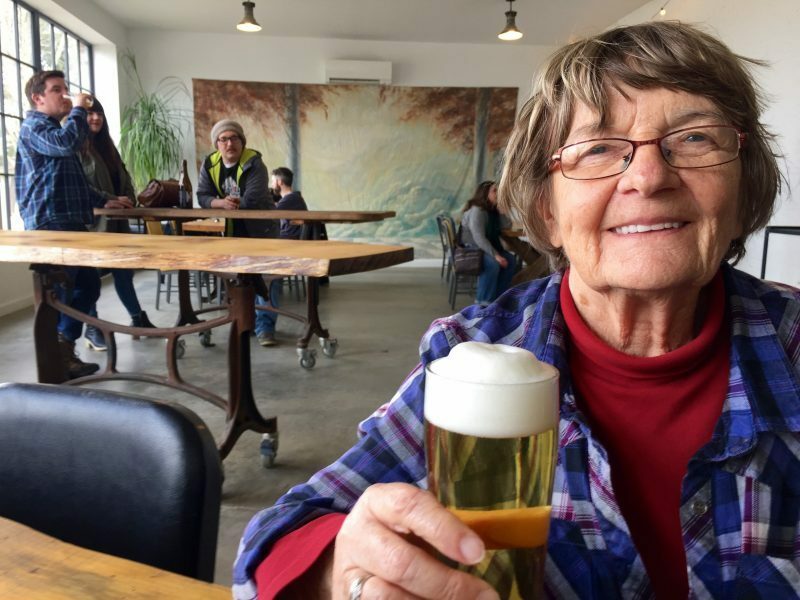 At 5%, a classic German beer called the Palatine Pils, poured into Mutti’s glass like a golden-hued rainbow. The thick frothy foam on top and the earthy bitterness sealed the deal. I opted to wait another 20 minutes for a sample of their equally popular 4.6% Crispy Little, a hoppy pale ale with wheat. In the corner, a duo from Burlington, Vermont enjoyed tumblers of a darker lager called Black Shirt. At the end of our table was a couple from Boston stocking up on bottles of cherry-flavored fermentation. The atmosphere was super relaxed with Tay’s young son Enzo kicking back with a fresh baked pretzel in his hand and a wiry mutt named Chicken lapping up customer’s attention.